Drawing manga and making anime are two very different artistic processes, but that hasn’t stopped adventurous individuals from dipping their toes into different creative spaces. In fact, an exceptional original TV series that relied on the vision of a comic artist way more than you’d ever expect just ended! Let’s take this opportunity to examine what happens when mangaka make anime! 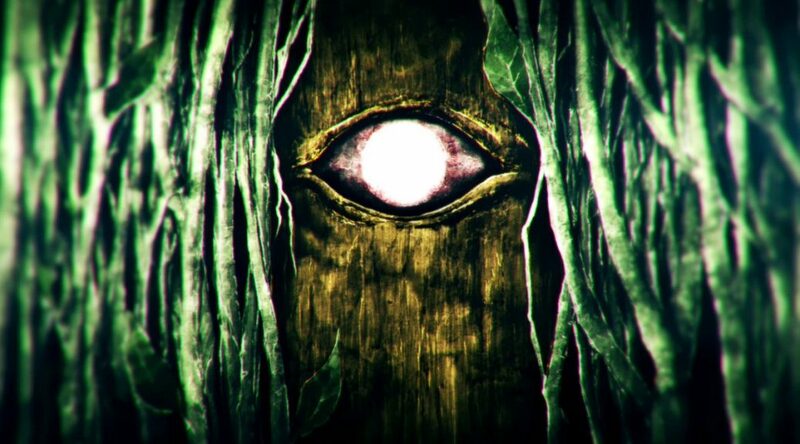 If you’ve been following Planet With throughout this season and are acquainted with the people behind it, chances are that you’ve noticed just how strongly it embodies Satoshi Mizukami’s oeuvre. Of course, it’s no surprise that as the author of an original anime, many recurring traits of his work made it into the show. The same thematic threads of justice and heroism that run throughout his previous titles are present, and we have yet another setup that subverts the traditional position of heroes and villains. We also meet more groups of misfits that grow to be genuine families. It’s impossible to ignore the mind-boggling escalation and fondness of metaphoric and literal bigness. There’s even that familiar, always honest adoration of mecha and sentai tropes that his fans know and love. But that’s not where it ends – if that were as far as his influence reaches, there’d be nothing fundamentally unusual about the approach of this production. The fact that all characters look like a carbon copy of his art wouldn’t make anyone bat an eye either – he simply provided the drafts for them all – and his contribution to various other design elements specifically for the anime just makes him come across as an enthusiastic creator who did all he could to support his vision in a medium that isn’t even his. As it turns though out, he actually did way more than that. For starters, you can thank Mizukami himself for Planet With’s writing, both on a micro and macro level; he acted as the series composer for the show as a whole, and his drafts were so complete that he’s essentially the scriptwriter for every single episode, leaving all the people who would traditionally take that role as script assistants. This was by all means Mizukami’s tale. Perhaps more importantly, however, is the massive influence he also had on how that story was told. If watching the series gave you the impression that you were following Mizukami’s own panels, with that characteristic sense of scale and eye-catching usage of silhouettes, you’re not far off track. The truth is that Mizukami drew 1,074 pages of rough drafts – “name”, the Japanese term for manga storyboards – that served as the blueprints for the entire anime. Despite being billed as an original series, the result actually sticks closer to the vision of a mangaka than most adaptations do. Mizukami tweaked those drafts so that they could be serialized in comic form, while the anime staff followed them as if they were religious scriptures. They still had some wiggle room of course (especially relating to foreign concepts for a mangaka like CG action, color and composite work, and the kind of pillow shots you rarely see outside of Japanese film) but the thorough control Mizukami had on the way everything was conveyed in Planet With puts him in a very special position. It’s as if he held a directorial role, despite not quite belonging to this industry. Planet With footage alongside Mizukami’s rough storyboards. 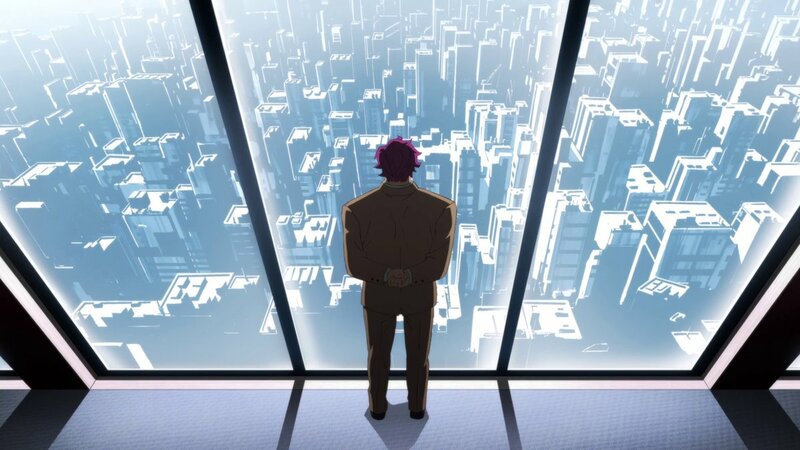 Now that makes Planet With a project worth examining by itself, but it also begs the question: are there more cases where a mangaka has played such an integral in the production of an anime? The answer is yes, sort of. However, it seems important to set aside all the artists who work very actively on both fields, since they’re clearly a breed of their own. Anime’s tradition of such multitalented creators can be traced back as far as the god of manga Osamu Tezuka himself after all; there are renowned cartoonists with equally exceptional anime work like Katsuhiro Otomo, legendary anime creators whose careers would have never reached the heights it did without manga they published like Hayao Miyazaki, and individuals like Yoshikazu Yasuhiko whom you can’t even easily attribute a main occupation to. Though there isn’t much of an overlapping skillset beyond basic drawing skills and storytelling fundamentals, there’s nothing stopping people talented and obstinate enough from mastering both fields. The surgical precision and understanding of medium specificity that made Satoshi Kon one of a kind when directing anime also allowed him to become a fantastic manga artist – which might become quite relevant again, as Masao Maruyama is currently in the preparation stages for an adaptation of Kon’s OPUS. That long history of versatile superstars who stand out as both anime and manga creators continues to this day; Yoko Kuno, whom we’ve highlighted as one of the new players with the highest potential in the anime industry, has actually already won an award for her manga work. As mentioned earlier though, we’d rather focus on mangaka who don’t specialize in anime at all and yet have made noteworthy or at least curious contributions to this industry. Not to disparage the multitalented individuals of course, but there’s something inherently interesting about these fish out of water situations. Things become even more fascinating if you look at cases where mangaka intervene during the active production stages, as opposed to pre-production assistance like providing original designs, which is a fairly common practice and sometimes only responds to marketing intent. 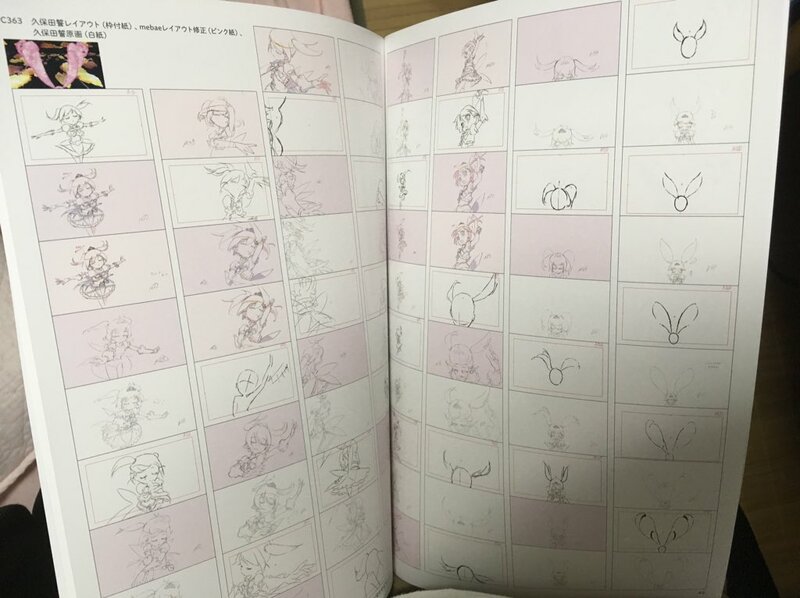 CLAMP lead artist mokona storyboarded a sequence for Tsubasa Chronicle‘s opening… which was scrapped in favor of a much tamer OP, but later was recycled as part of the second CLAMP in Wonderland. If we return to Planet With, we can use Mizukami’s most substantial contribution to find similar cases: manga artists who’ve drawn rough storyboards for anime. And truth to be told, although those instances are rare, it’s not that hard to find manga artists who go out of their way to draw guidelines like that, even if they don’t get followed as strictly as in Planet With’s production and rarely ever are endeavors on the same scale. Ishida Sui drew a bunch for the second season of Tokyo Ghoul, as did Kuroko no Basket’s Tadatoshi Fujimaki, even if just for an extra for its final film. The most obvious comparison, however, is with Yuri!!! on ICE – another original anime that was initially supported by rough storyboards drawn by co-creator and original designer Mitsurou Kubo, a professional mangaka. There’s no denying that she was key to the show’s existence ever since its conception, but the reason that it serves as an interesting contrast is that they didn’t seem follow her drafts as religiously. Its very nature as a passion project first birthed by two people makes it differ from Planet With, which was always supposed to be Mizukami’s baby, hence why some of the most iconic scenes actually weren’t in Kubo’s plans at all. And of course, when you’re working with an anime supertalent like Sayo Yamamoto, it’s never a bad idea to let her handle the presentation of as much of your show as possible, even if you’d come up with the main ideas together! Mebae is best know as an illustrator and mangaka, but his career started with animation work and he still retains those skills. Here you can see his layout corrections (pink) to Chikashi Kubota’s animation on 6HP. As neat as is to see mangaka sort of command the direction an anime project takes though, most amusing instances of comic artists collaborating with anime productions are smaller scale efforts. Anecdotes like Tite Kubo personally animating this beautiful teaser for Bleach: Hell Verse don’t have quite the impact on the fate of the title, but they’re interesting curiosities nonetheless. The truth is that he’s not alone either, since popular mangaka tend to enjoy having their hand on big movie projects related to their titles if possible; not just with plenty of pre-production tasks like Eiichiro Oda did for Strong World and Gold, but actually contributing animation to the film itself! Gosho Aoyama of Detective Conan fame has been credited as key animator in about a dozen of its films, often getting a chance to draw expressions in climactic moments himself. Meanwhile, artists like Yu-Gi-Oh‘s Kazuki Takahashi can be even more adventurous and draw genuine pieces of animation for the most important movies in his franchise. Layout drawn by Made in Abyss‘ original author Akihito Tsukushi for the last episode of the anime. While it may not be their career of choice, some mangaka actually are so compatible with the artistry behind animation that they could easily transition into this industry. By saying that, a certain name surely popped up in many people’s heads: Yusuke Murata, author of Eyeshield 21 but best known nowadays for as the artist for the serialization of One-Punch Man. Many of his OPM chapters depict spectacular fights with a step by step precision that seem to indicate that he might as well be drawing key animation… which he’s done, as it turns out. 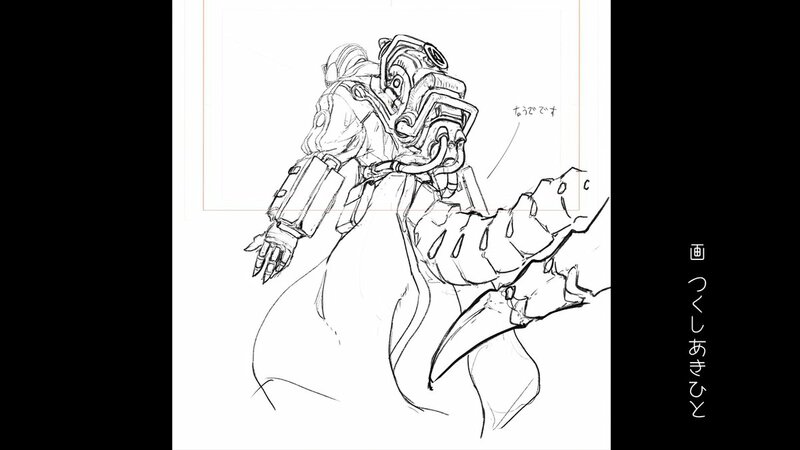 Murata actually provided the original designs for Toei’s Majin Bone (which were then adapted by the brilliant Ryo Onishi), and he took the involvement with the production as an opportunity to try and draw some key animation himself. To a degree the result still felt more like moving illustrations rather than animation, but the expression work is on point and part of his scene is genuinely strong in motion. I have no doubt that he could have succeeded in the world of anime too. It’s not as if drawing an obscene amount of frames is the only way to create the illusion of movement, though. There are other artists who instead excel at suggesting motion, giving lifelike properties to their work with a less extravagant approach. That’s the case of Girls’ Last Tour‘s Tsukumizu, who conveys very tactile feelings like softness and elasticity in comic form while directing integrating animation quirks like smears into them. Tsukumizu‘s fondness of animation became even clearer for those who caught the beautiful clips posted on Twitter, which once again got incredible mileage out of not that many drawings. This passion for the artistry peaked with the Girls’ Last Tour anime adaptation, which featured an enchanting ending sequence entirely made by Tsukumizu – and I do mean entirely, from the storyboard to the composite process that put all elements together. A perfect embodiment of the manga in all regards, by the hand of a comic artist who could very easily switch professions. 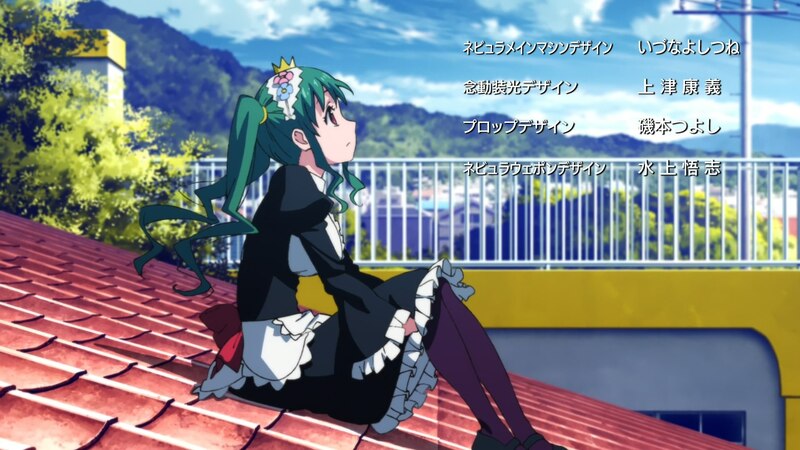 GLT key animation drawn by Tsukumizu. This has been a very pleasant rundown of professional mangaka working on anime, but it’s also important to understand that this isn’t the most common interaction between them and the anime industry. More often than not, when their paths cross it’s because their work will be adapted to anime in a very hands-off position for the original author, which is a situation that can get nasty. Though fans are often more overzealous about the purity of the source material than the authors themselves – do yourself a favor and never assume that they’re by default against changes in adaptations – there’s no denying that tensions sometimes arise. In theory the original creator and publisher are meant to have absolute authority (good luck even saying the world Sailor Moon out loud without Naoko Takeuchi showing up to defend her baby), but that’s not always the case, especially with more minor works and younger authors. Cases like Boogiepop‘s illustrator causing the new anime project to temporarily freeze operations because no one had the dignity to consult him about his own designs highlight how murky anime adaptation dynamics can get. But for once, let’s focus on the positive – magical things can happen when mangaka work in anime after all! Regarding Mob Psycho, as far as I’m concerned the best thing they did with that epilogue that featured ONE was the part that he didn’t actually draw and yet looked just as if he did. Really nailed the aesthetic there, could have (and actually did) fooled a lot of people were it not for comments from the production crew. Could please say what scene was that with One’s animation? Dylan on BONES’ 20th Anniversary – What Lies in the Future?